#17 UB beat LeMoyne 89-55 on Wednesday night to improve to 8-0 on the season. AMHERST, N.Y. (AP) - CJ Massinburg had 13 points, 12 rebounds and 10 assists, and No. 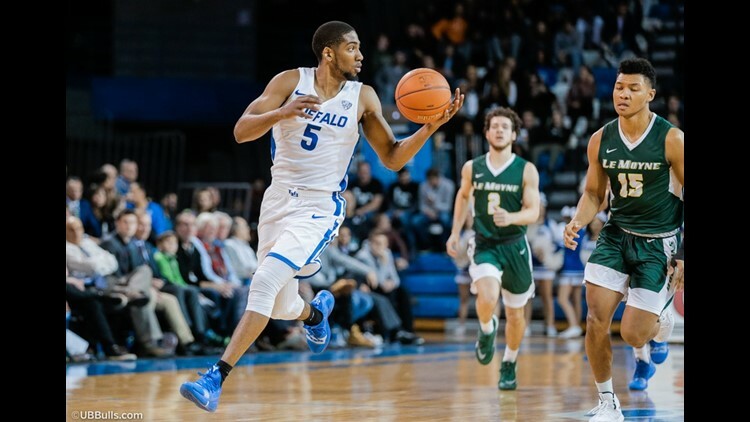 17 Buffalo used a big second-half run to beat Division II Le Moyne 89-55 on Wednesday night. Massinburg went 6 for 10 from the field while becoming the second player in program history to record a triple-double. Le Moyne: This game counted as an exhibition for the Dolphins, who are 5-3 in Division II contests after losing an exhibition at Syracuse to open the season. LeMoyne has defeated three Division I teams over the past eight seasons, including Siena last season.